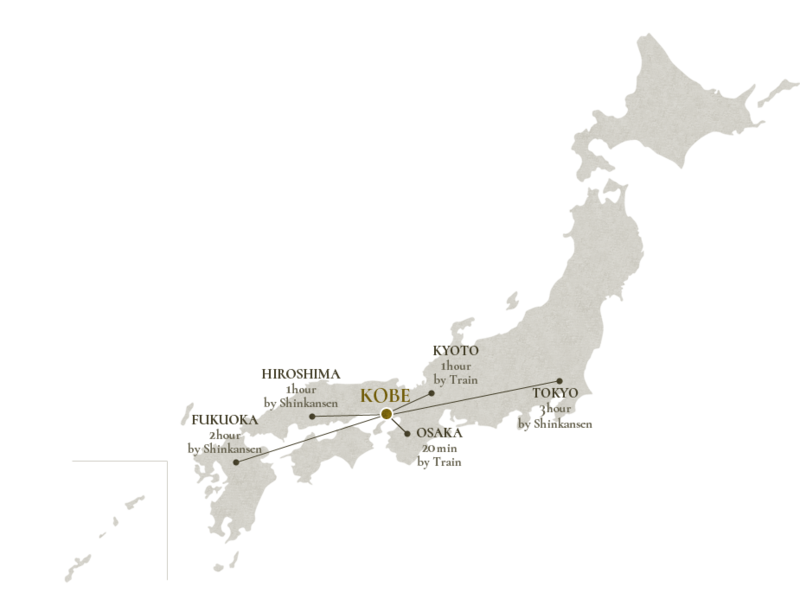 Visitors come from around the world to experience the sea, mountains and city of Kobe. Access is good from all sides, an attractive city surrounded by the sea and the mountain. 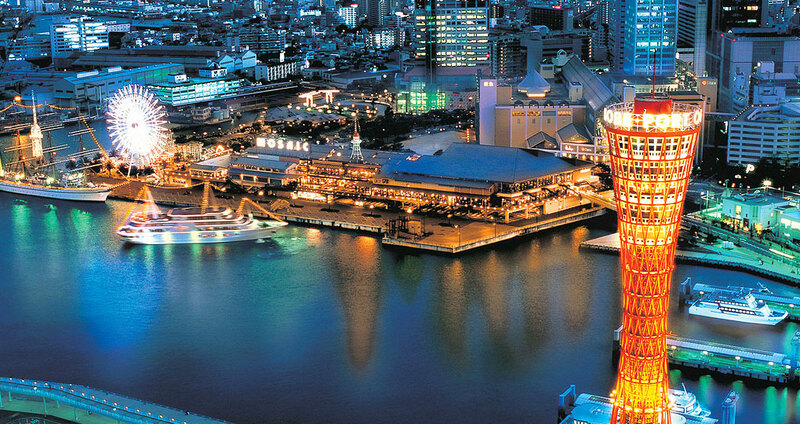 The city of Kobe is a popular tourist destination internationally. foreigner lived there a long time ago. has become a popular tourist destination internationally. Unique house with three steeples. There are modern sculptures by Rodin, Bourdelle, old Gandhara or Thai Buddha and classical prints by Rembrandt and Durer etc. Constructed as the house of German trader G.Thomas in 1909, and famous for the weathercock on the steeple. Designated as a National Important Cultural Property. National Registered Cultural Property. 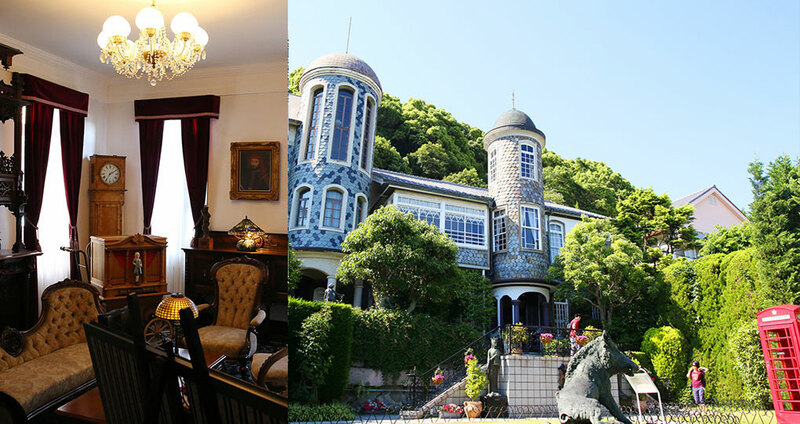 Originally Iuxurious rental house for foreigners. Antique furniture and ceramic wares treasured by European Royal Families will catch your eye. You can find the fascination of mountain side in Kobe. the Herb Gardens that you can see the whole view of Kobe. Takenaka Carpentry Tools Museum is opened in 1984 as a project for the 85th anniversary of Takenaka Building Firm's foundation. Kobe is the place where Fujiemon Takenaka established Takenaka Building Firm in 1899 after he left Nagoya where the firm was founded originally. Exhibitions consist of three themes, which are "pass down"(history), "create"(wood and iron), and "master"(expert) to pass the skills and heart of craftsmen to the next generation, and you can touch carpentry tools collected and reserved as an ethnical inheritance. Also events such as exhibitions, lectures, seminars and classes are held regularly to share with more people about the skills and heart of the craftsmen. It is one of the sources of Kobe water that falls into midstream of Ikuta River on mountain side. 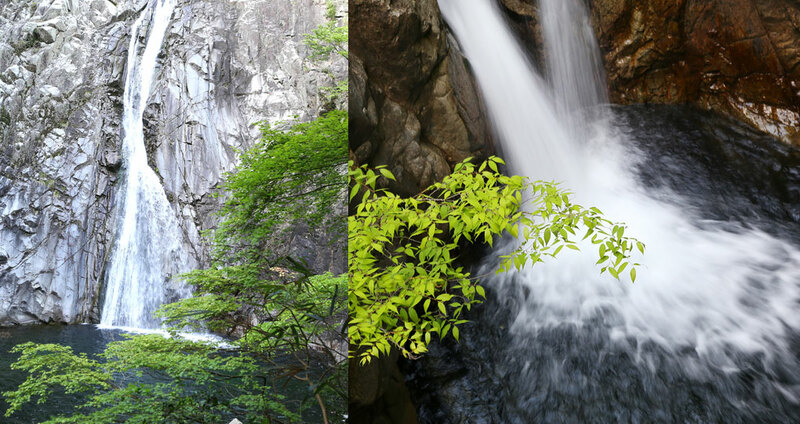 It is selected as one of the "Best 100 Falls of Japan" Nunobiki Falls consists of four falls; Ontaki, Mentaki, Meotodaki and Tsutsumigadaki. Ontaki is especially famous with its 43m in height. It would be really nice to walk on the promenade in fresh green or flourish season as well. 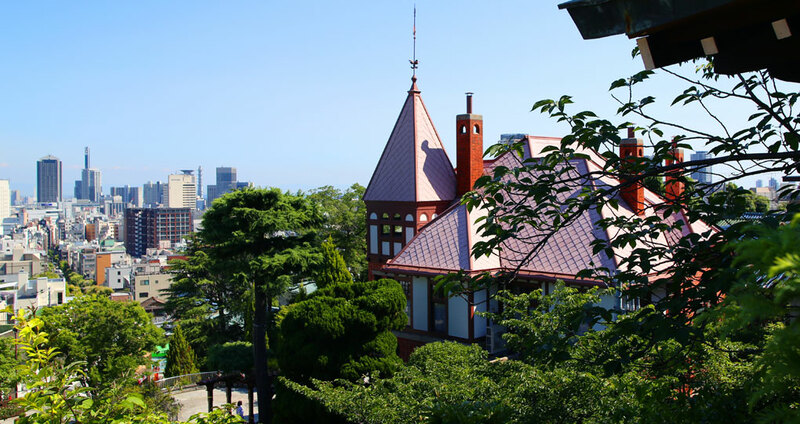 Due to the annual maintenance, Kobe Nunobiki herb garden and Ropeway will be closed from Thursday, February 15 to Thursday, March 15. 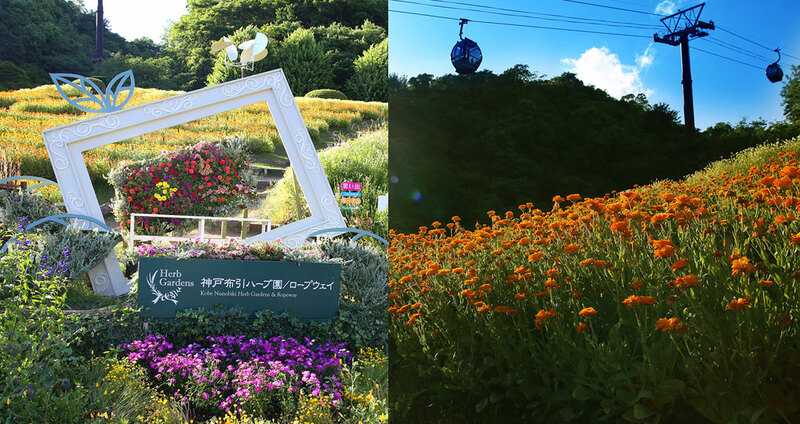 It takes about 10 minutes to the Herb Garden at the peak of the mountain by the new ropeway. All the gondolas are barrier-free, and you can see famous sites such as "Nunobiki waterfall" and "Gohonmatsu Entei" also known as Nunobiki Gohonmatsu dam, with a beautiful view of Kobe from the large window.Approximately 75,000 herbs and flowers of 200 varieties bloom seasonally. There are restaurants and cafes where you can enjoy herb dishes with seasonal ingredients in buffet, stores you can purchase souvenirs of Kobe and herbal goods, and a new spot called "Kobe confectionery factory Honey Bee" offers cakes and drinks made with the herbs and honey harvested from the garden.You can enjoy hanged fuchsias throughout a year in a glasshouse, and can see a view of Kobe all the way to Osaka Bay under your eyes while taking foot bath with herbs at "Herbal Foot Bath" Enjoy the night view of Kobe in a large-scaled panorama from the ropeway or the observation area in open hours in night. Open everyday / The ropeway and park may close due to the weather condition. 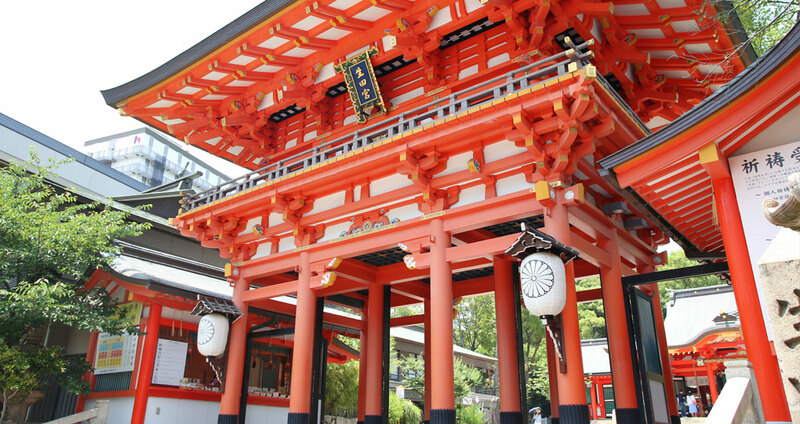 Ikuta Shrine is an ancient shrine with over 1,800 years of its history. 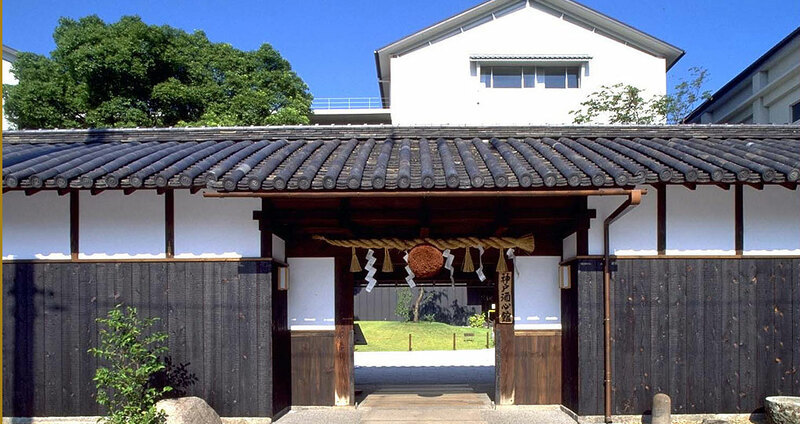 The name of the area "Kobe" is originated from Kambe, the house protects the deity of Ikuta. Ikuta means the place filled with vibrant energy. Since it is located central part of an urban area in Kobe, many people, as well as athletes and artist have visited recent years. In Enryaku 24 (805), Saicho (Dengyo Daishi, the founder of Tendai Sect) placed Yakushi Nyorai of his own making in the temple hall and named the temple Nofuku Gokoku Mitsu-ji Temple, establishing the first disciplinary holy ground in Japan. Taira-no-Kiyomori became a Buddhist priest in this temple in Jisho 4 (1180), when the capital was relocated to Fukuhara-kyo. It served as Inge-shoku (branch temple) of Kyoto Shoren-in Monzeki Temple from early Edo era to the Meiji Restoration in 1868, having the most prestigious status of all temples in Kyoto and areas westward. 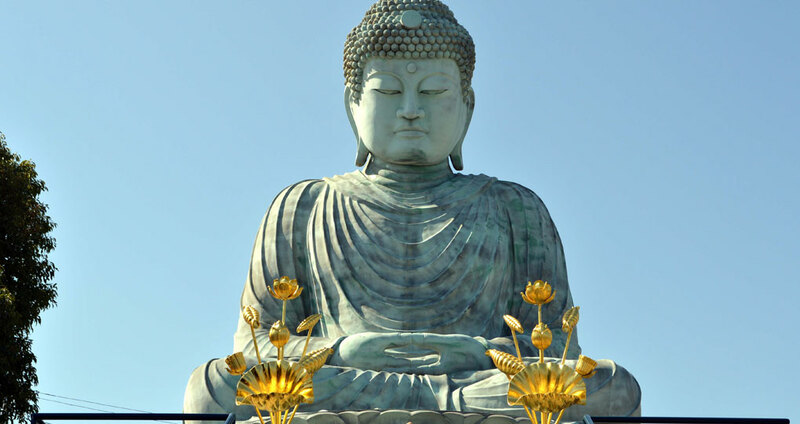 In the temple premises, there are Japan's first English monument inscribed by Joseph Hico (Hikozo Hamada, known as Father of the Newspaper), and Hyogo Daibutsu, one of the biggest three Buddhas in Japan. 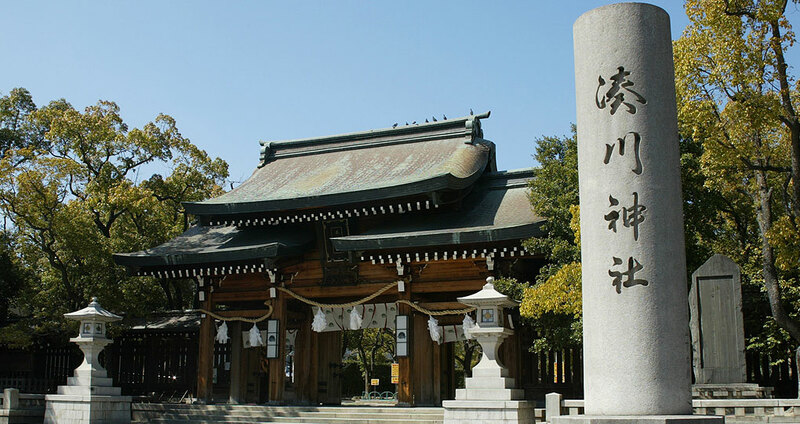 This shrine contains treasures of the warrior Kusunoki Masashige, who is enshrined here. These include important cultural properties such as hand-copied Buddhist Sutras, calligraphy and swords. Kobe Shu-shin-kan Breweries Compound, a brewery of sake "Fukuju" is established in 1751. You can purchase handmade sake from a barrel after sake tasting. 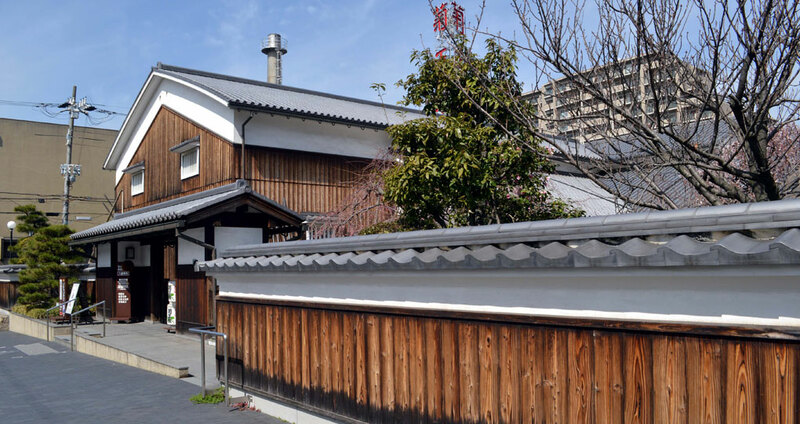 There are facilities you can relax and spend artistic time including "Sakabayashi", a fine dining offering handmade tofu and homemade soba noodle, and "Kobe Shu-shin-kan Hall" offering concerts and "Rakugo" or traditional comedy stories. There is a garden where you can have sake in the season while looking at beautiful flowers you can enjoy each season, which would be the perfect place for your special guests from overseas (English-speaking stuff is available). It is the only facility exhibits "Sake brewing utensils of Nada" which are appointed as important tangible folk-cultural properties of Japan. 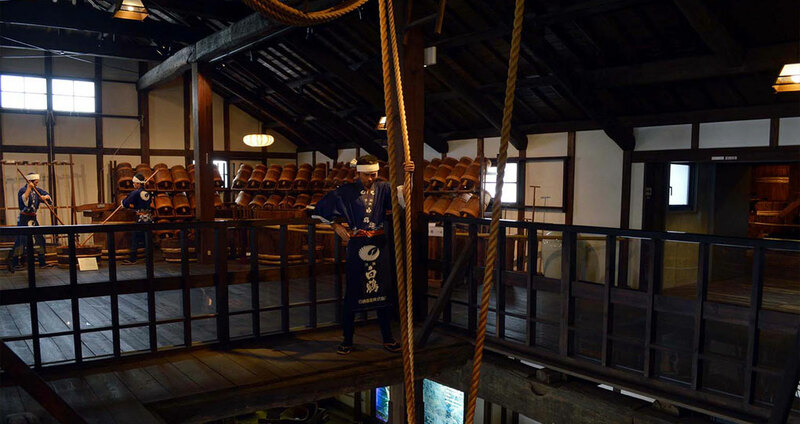 It is a museum of Sake which exhibits the secret techniques of brewing Sake inherited by Toji masters in Tamba region to the present.You can find your favorite one by tasting variety of Sake including freshly brewed unheated Sake for free. Original brewing equipment exhibited in a wooden sake cellar established in he Taisho era. Try fresh unrefined sake on the house. 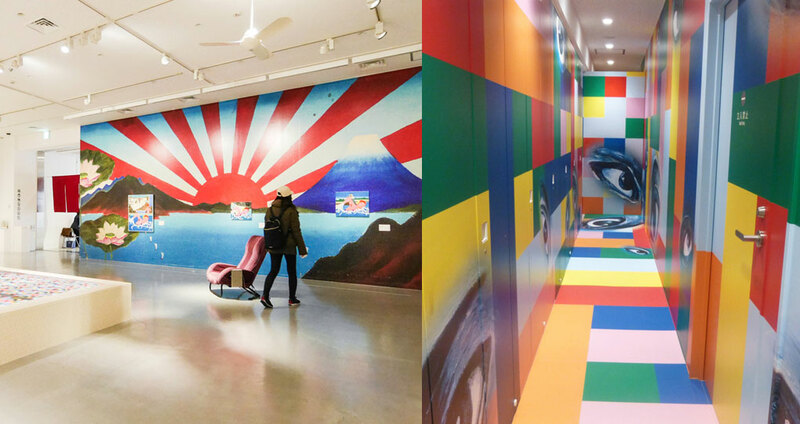 The museum was opened in Nov. 2012 and showcases a variety of art work donated by Tadanori Yokoo, Hyogo-native distinguished artist. 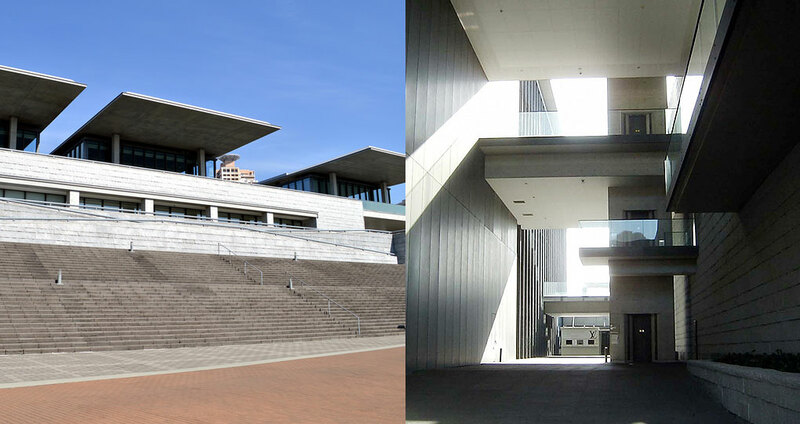 Hyogo Prefectural Museum of Art exhibits approximately 10,000 items of Modern Art of Hyogo artists mainly. 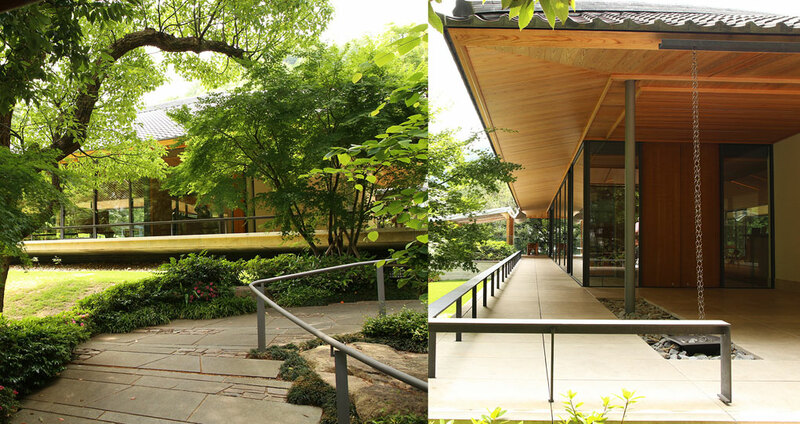 There are memorial rooms for Ryohei Koiso and Heizo Kaneyama, representatives of Japanese Western paintings of Modern Art, and also special exhibitions of items from inside and outside Japan are held.The museum is designed by Tadao Ando, a representative of Japanese architect. The unique look of the museum which faces close to the ocean can be seen with sculptures stood around the area from surrounding buildings outside as well. 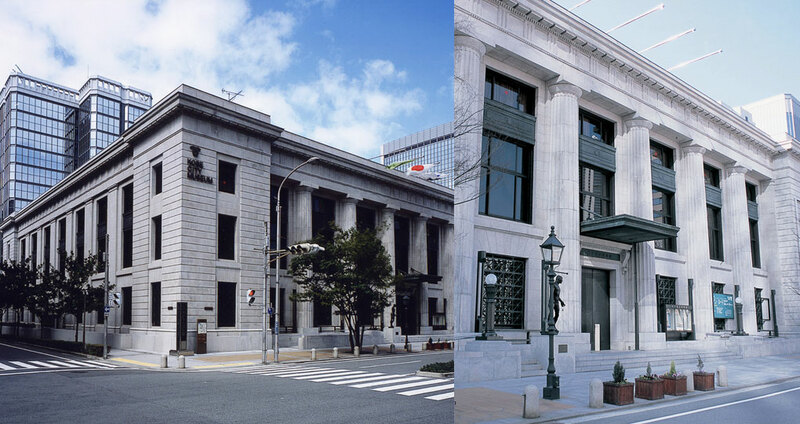 The building of "Former Yokohama Seikin Bank" built in 1935, was renovated and opened as Kobe City Museum in 1982. Approximately 40,000 items including National heritage of "Dotaku" or a bronze bell, and "Douki" or a bronze dagger-axe, from Sakuragaoka, ancient historical materials, artistic materials related to Southern Barbarians and Caucasian, and ancient map materials are exhibited with the basic theme of "International culture exchange, and relationship between East and West and its change" The permanent exhibition is focused on Kobe, exhibiting six main themes of how Japan and foreign countries exchange their cultures. Exhibitions with the items that the museum holds mainly and special exhibitions along with the basic theme are also held. Accessible by cable car and ropeway. 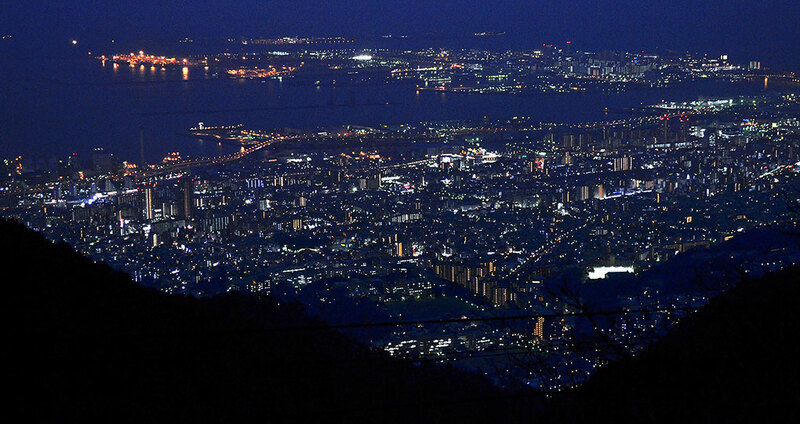 Kikusei Dai overlooks a dynamic night view of Kobe, or one of the 3 greatest night views in Japan. The sky color at the point of the setting sun takes on a gradation of warm tones and bleeds into cobalt blue. The night views offer glamorous glow dotted with lights of the downtown. From the cable car station at the foot of Mt. 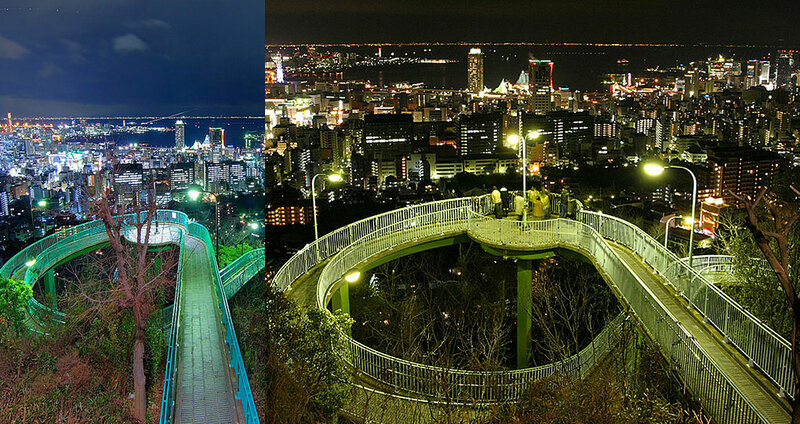 Rokko, ride a old-style cable car to the Mt Rokko Railway station. This obsevation spot is very famous, and was even visited by Emperor Showa. 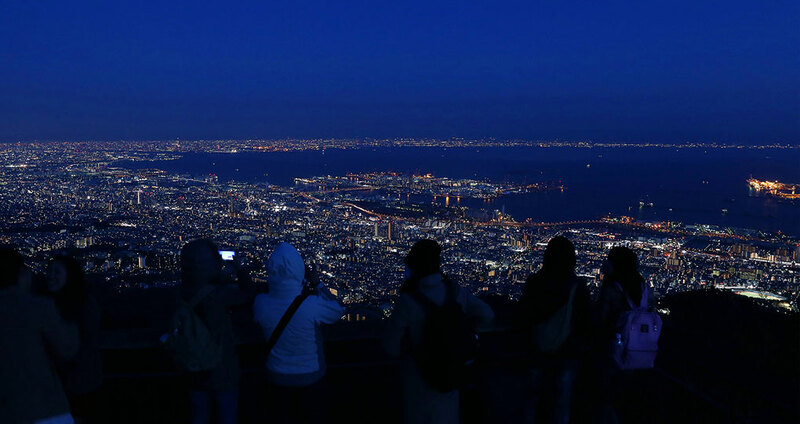 From here, you can of course see Kobe, but the view also extends to the Osaka plain and Wakayama, and at night what is known in Japan as the "10 million dollar view" can be seen at a magnificent scale. This is a scenic spot, even for nighttime viewing, that is easily reached by taxi from any point in the city. On "Love Lock Monument" at Venus Terrace, couples attach locks on which they write love messages. Venus, the goddess of love and beauty, will make wishes come true for those who vow eternal love here. you can feel the charm of Kobe. Maiko Marine Promenade is an excursion-style promenade which is built on Kobe side of the Akashi Kaikyo Bridge, known as the longest central span of any suspension bridge in the world, with approximately 47m in height above the sea-level, 150m in height above the ground, and protruded 317m beyond the bridge.Walking on a log 47m above the sea-level would be so intense! 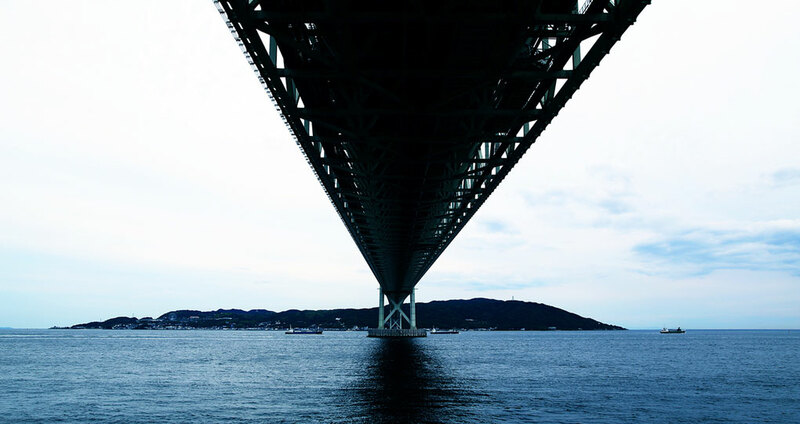 The information about the Akashi Kaikyo Bridge is located on the first floor at the entrance of the promenade. You would feel like you were on top of the main pole (app. 300m in height) of the Akashi Kaikyo Bridge if you look through a observatory camera system in the lounge located on the 8th floor. Enjoy your journey on the marine promenade as you look over the great view of the Akashi Kaikyo Bridge. 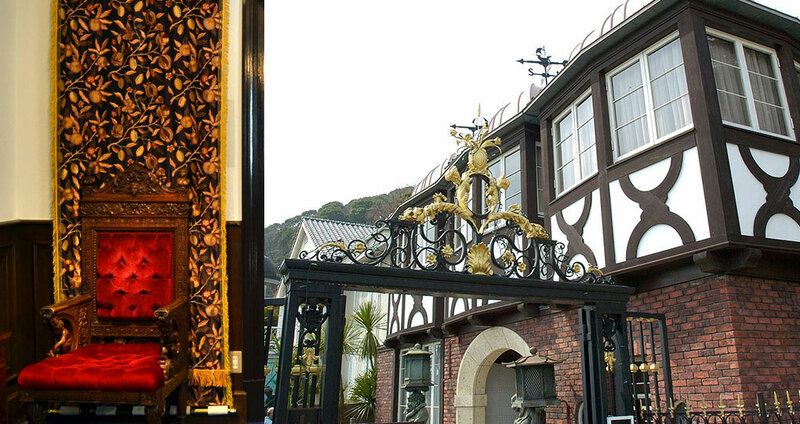 In the Meiji era, the area where foreigners living in Kobe centering on trade lived. You can still feel the remembrance of the old settlement that was praised as "The East Asia Beautiful" on a neatly delimited street. Open cafe that reminds attractions, brand shops, European street corners. 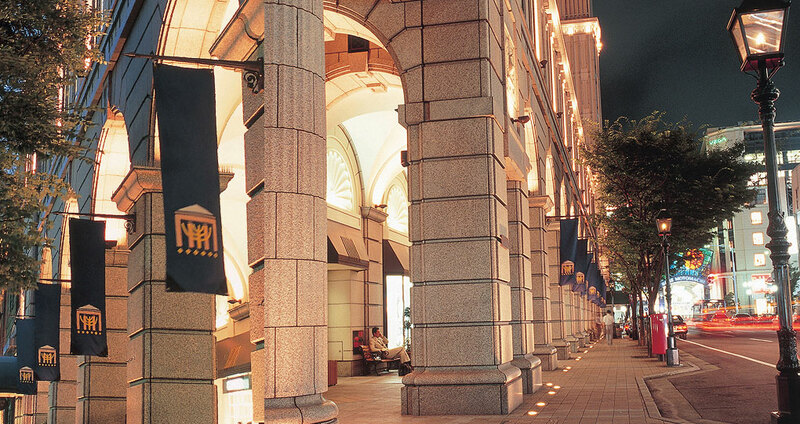 Once in the city of Finance called Oriental Wall Street, you can experience the open and beautiful cityscape in Kobe, such as the popular spot where unique cafés and shops concentrate in Sakaemachi through the coastal area It is an area. Kobe's landmark Kobe port tower and other symbolic buildings attract the most attention of the seaside. Harborland is full of large complex facilities such as shopping, gourmet, movie theater, amusement space and so on. You can feel the sea and the mountain town / Kobe by walking while being blown by the sea breeze. It is also an area of attention as a wedding venue. And in the evening, the light up and the illuminated streets flicker and change to the highest romantic spot. Night view from the sea on a cruise ship is a must-see.